A very warm welcome to Christine Grabowski; thank you for joining us on BooksChatter! What was the inspiration for Dickensen Academy ? "I always liked to read as a kid, so when mine began reading, I wanted the same for them. Seeing how they loved only certain books inspired me to want to write books that children and young adults would enjoy, so they would develop the love of reading for a lifetime." "The main character, Autumn, has a lot of my teenage self in her, particularly in terms of her lack of self confidence in social situations. As I wrote Autumn, I found myself wondering what I would have done in that same situation, and often that reaction made it into the book. And like Autumn, I also joined the cross country team in high school which helped my esteem and turned me into a lifelong runner." The first thing that draws me to a book is its cover. Can you tell us about your cover for Dickensen Academy - why you chose that concept and who the artist is. "At The Wild Rose Press, the authors fill out a suggestion form with our ideas for the cover. To me, having the focus be on the school was most important. I didn’t want any faces because I wanted readers to be able to envision themselves at the school. In the end Kris Norris, the cover artist, came up with a cover that was very much in line with my vision of what the school would look like. I particularly liked the pop of pink cherry blossoms which I have in front of the school in the book. I think the bright color makes the cover stand out. The funny thing, many of my friends think it is my daughter on the cover. She is also a freshman in high school. " Why should we read Dickensen Academy and what sets it apart from the rest? What makes your book unique? "Dickensen Academy bridges the gap between MG and YA because the focus on the freshman year of high school. Few books have fourteen and fifteen-year old protagonists because they don’t fit perfectly on one shelf at a bookstore. However, there are a lot of people who wish to read about this age group. And just as importantly, there are many parents whose children have outgrown MG, but are a bit concerned about the mature content present in many YA novels. Although the premise is considered a paranormal or a fantasy, the focus of the book is as much about Autumn’s relationships with her friends and family and her struggles in school and for independence—something many teens can relate to." Can you tell us something quirky about Dickensen Academy, its story and characters? 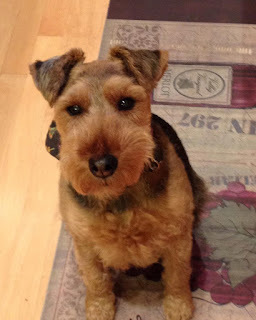 "I originally wanted to dedicate the book partly to my Welsh terrier, Rylie. She kept me company while I typed for many hours. After the kids left for school, she would jump up beside me and sit with me for hours in our favorite chair. Some days she would literally fall asleep on my keyboard. 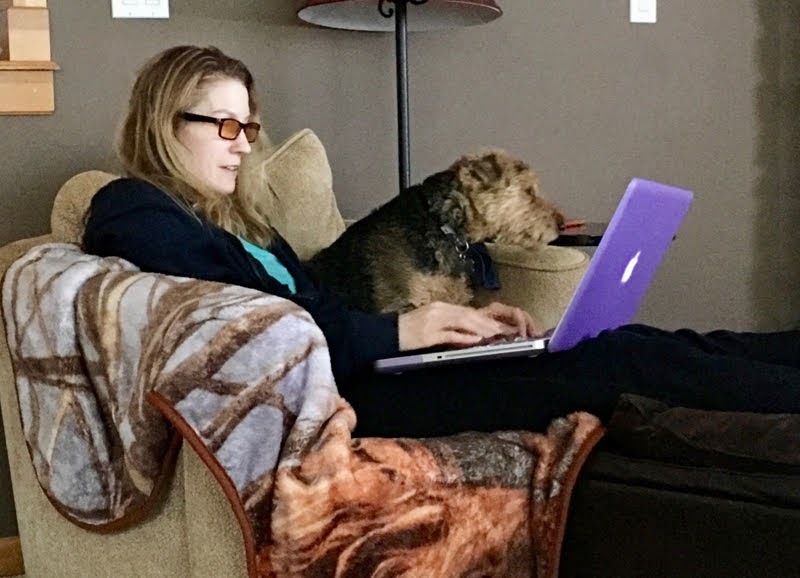 She died four days before I got my book contract at 15.75 years, but lives on as Autumn’s Welsh terrier, Zoey, and in the name of Autumn’s dormitory, O’Reilly." Who would you recommend Dickensen Academy to and what should readers be aware of (any warnings or disclaimers)? "Adults and tweens and young teens. Adults love the fresh spin on a boarding school fantasy story. However, the 11 – 15-year olds (mostly girls) are the ones who claim it is their favorite book and read it over and over." If you could / wished to turn Dickensen Academy into a movie, who would be your dream team? "I believe someone like a Steven Spielberg could bring the dream aspect of Dickensen Academy to life. And although the first book is more of a coming of age novel, I imagine the later books will be darker and require his creative talent. A mountain location in British Columbia would be ideal. It would still be the Pacific Northwest and so many movies are shot in Canada. As far as actors and actresses go, I’d pick some unknowns who haven’t been typecast. They’d need to be young teens now, so they could grow up on screen and age appropriately, like in Harry Potter." What do you like to write and read about? Do you stick to a particular Young Adult Fantasy or do you like to explore different ones? "Dickensen Academy is my first novel and is best classified as a contemporary fantasy. But I have other works in progress including a fairy tale re-imagining which is a contemporary suspense. I plan to stick with contemporary YA but expect the sub-genres will vary and could potentially include fantasy, paranormal, suspense, and romance." "Because I am a mom to a 12-year-old boy, a 14-year-old girl, and two wheaten puppies, I have to squeeze in the writing between many other activities, so I’m always lugging my computer to soccer practices, tutoring, etc. I’m somewhere between a pantser and a plotter." 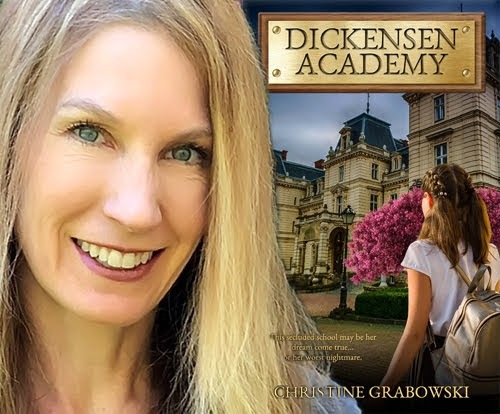 "Although I ended up writing Dickensen Academy as a standalone, I always envisioned it as the first in a four-part series. Based on the reviews, I have set aside my fairy tale reimagining to work on a Dickensen sequel because everyone wants to find out more about what happens in the upper grades at the school." 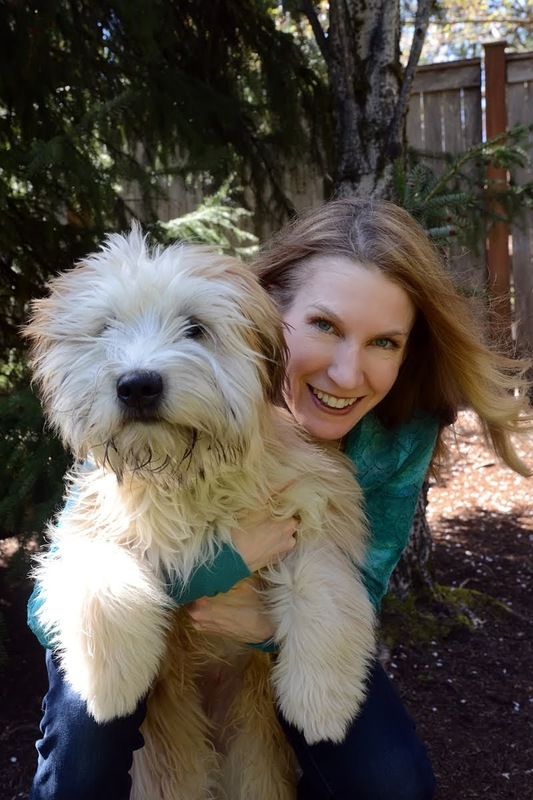 "I am a big dog lover and imagine I will always include my dogs in my novels. As I explained before, my first dog, Rylie, is in Dickensen Academy. My wheaten terrier puppies are being written into my fairy tale reimagining. 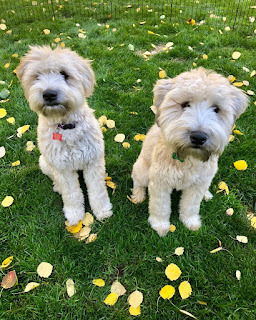 As a side note, my puppies, Max and Ruby, are named after the characters created by one of my favorite children’s book authors, Rosemary Wells." This secluded high school may be her dream come true... or her worst nightmare. I will definitely pass on some head-scratches and belly rubs to the pups.